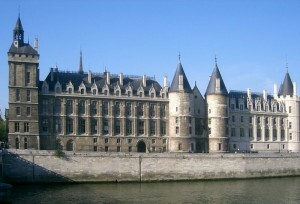 The Conciergerie was part of the first palace of the kings of France. In 1391 it became the first prison in Paris. Located on the Cite island, near both Notre Dame cathedral and Sainte Chapelle, the Conciergerie became infamous during the French revolution. In 1793 and 1794 over 2700 men and women were sentenced to death and detained in the Conciergerie until they were publicly beheaded in Concorde square. Marie-Antoinette was among them. The Conciergerie deserves a visit as part of any Paris vacation. Visit Sainte-Chapelle at the same time. Open from 10am to 5pm (open one hour later from April to September).